What’s all of the hype with essential oils? Maybe you want to dip your little toe into the water. Maybe you are already a distributor and want to learn more about how to use essential oils. Do they really work? Are they safe? Who can use them? 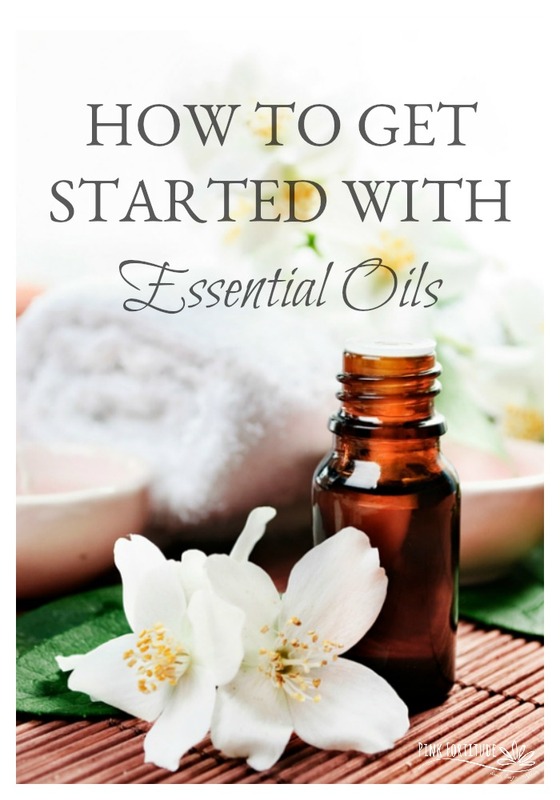 Whether you are curious about essential oils, skeptical about essential oils, or frequently use essential oils, this is the perfect guide to help you get started and teach you about the basics. The information provided on this website is not meant to be used, nor should it be used, to diagnose, treat, cure, or prevent any disease or medical condition. This information has NOT been evaluated by the FDA. This website is not intended as a substitute for the medical advice of a physician. The reader should regularly consult their doctor in matters relating to his/her health and particularly with respect to any symptoms that may require diagnosis or medical attention. Full Disclosure Policy, Legal Clause, and Terms and Conditions – Click HERE. All information in this article was from the information I learned in my Essential Oil Certification course. I became a Certified Essential Oils Coach to be able to provide you with accurate and safe information about essential oils. I pride myself on providing a space that is open to all. No pressure. No judgment. If you want to purchase oils or join our team, of course, that would be awesome. But that is not what this is about. I’ve seen so much inaccurate information out there and so many unsafe practices. Not only does this potentially cause harm to individuals, but it also leaves a negative light on the industry. I want you to walk away from here knowing the basics of how to accurately and safely use essential oils. So let’s get started. Essential Oils (EOs) (in various different forms) have been used since ancient times – in the Bible, the Egyptians, the Chinese, the Greeks – to support healing the mind, body, and spirit. EOs are volatile oils, meaning they evaporate quickly and are aromatic. EOs are obtained from plants, whether it’s the flower, the leaves, roots, barks, or peels, and are processed by using steam-distillation, cold pressing, or CO2 extraction. To be a true EO, the extract must be obtained without the use of chemicals. Humans and animals depend on plants to sustain life. They are the only living things that can produce their own energy using the light of the sun (remember learning about photosynthesis?). Plants have their own survival system using taste, aromas, and colors to attract the pollinators and protect them from predators. In a very basic and non-scientific summation, EOs harness these energies and properties in a concentrated oil to provide the same benefits to us. I think the number one question I get about EOs is, “I just purchased EOs. Now what? How do I use them?” EOs can be used in many different ways for many different reasons. Are you trying to focus or fall asleep? Are you trying to get rid of a rash on your arm or clean the house? Here are a few highlights of how you can use EOs. Diffused – One of the most popular methods. Fill the diffuser with water up to the fill line and then add a few drops of EOs. How many drops? How big is your diffuser? For a standard size, I normally use 5 drops. You can diffuse lavender to help you fall asleep, various blends to help you focus or stabilize your mood, or even seasonal blends to create an uplifting aroma in your home. Inhale – This is the most direct route to your brain. Have a headache? Open a bottle of peppermint and take a deep inhalation. Sinus problems? Inhale eucalyptus. Need to focus on a presentation at work? Inhale rosemary. Neat – When using EOs neat, you must be careful. Neat means that you are using the oil directly on your skin without any carrier oils. It’s always recommended to test a small patch first to ensure that you do not have a reaction. An example of this would be if you have a minor burn, you can apply lavender directly to it to help calm down the affected area. Always be careful using this method as there are many oils which may cause damage when used this way. With Carrier Oil – This is where your roller balls are helpful. When using oils topically, you will want to dilute them with a carrier oil to help them safely penetrate the skin. My favorite uses for roller balls and carrier oils are peppermint across your forehead for headaches and around your stomach for stomach aches and fennel on your heart for anxiety. In the bath – Relaxation anyone? Add a scoop of Epsom salts and 10 drops of lavender or chamomile EO to your bath before bedtime. Night-night sleep tight! In your food – You always want to ensure your EOs are GRAS (Generally Regarded as Safe) before using in your foods. My favorite EOs to add to my recipes (and 1-2 drops is generally all you will need!) are lemon, peppermint, and cinnamon. In cleaning products – I am obsessed with using EOS in my own homemade cleaning products! You can mix up the oils based on what you want to be cleaned and how and oh the possibilities are endless! The short answer is no. EOs are best used when in conjunction with other treatment protocols, along with a healthy lifestyle. They can certainly enhance various aspects of your lifestyle but they are not made or designed to cure everything that ails you. Let me give you two examples. If you are 100 pounds overweight and live on a diet of fast food and junk food and soda, you can’t expect grapefruit oil to help you lose weight. If you are a chain smoker, you can’t expect frankincense to cure you of cancer. I know these examples are a little extreme, but I wanted to get my point across that you have to take your entire health picture into perspective. For everyone, but especially if you have a serious health condition, you should always ask your physical or medical professional about the proper and safe use of EOs for your individual protocol. Yes. And No. It’s not a matter of if EOs are safe. It’s who is using them, what kind they are using, how they are using, and how much they are using. As with any product on the market, EOs will affect everyone differently. They are highly concentrated and there will be individuals who are sensitive or should exercise caution around EOs. If the fragrance or application doesn’t agree with you, then that oil isn’t for you. Don’t think just because you read an article about eucalyptus being good for seasonal allergies that if you have a reaction you should soldier on and keep using it. If you have any kind of reaction to any oil, STOP. Keep in mind it’s better to use a carrier oil when applying EOs to the skin rather than applying neat. Other safety precautions should include ensuring your EOs are GRAS (generally regarded as safe), is of the highest quality, and always remember that a little goes a long way. Educate yourself on the oils, talk to your medical professional about your condition and medications you are on, and exercise additional caution with women who are pregnant or nursing, babies, and the elderly. Always start with 1-2 drops. Talk to your doctor if taking prescription medications. Do not use in or near eyes or ears. Use a quality brand, organic quality. Pregnant women should AVOID cinnamon, clove, rosemary, clary sage, hyssop, fennel, birch, and wintergreen. With infants, introduce one oil at a time, and it’s best to diffuse rather than using topically. When using topically, always be sure to use in conjunction with a carrier oil, in small doses, and sparingly. And because we can’t forget our four-legged-friends, please AVOID these oils with your pets – birch, clove, oregano, tea tree, thyme, and wintergreen. I know that was probably both a lot of information to digest, and not nearly enough content on each topic. Again, this was designed to be a simple guide to answer the basic questions and provide foundational information on EOs. I hope this helps with your EO journey, whether you are new and starting out, a frequent user, or a distributor of any EO company. 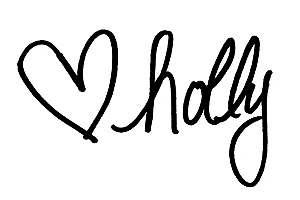 In addition to writing about DIYs and recipes and other EO uses, I will also be writing more about the basics of EOs, so be sure to subscribe to our newsletter so you don’t miss any of the great information. Love, hugs, and YES, there is an oil for that! There are def some good ones to use at different times.